CBLDF joins with other members of Kids’ Right to Read Project sent a letter defending students First Amendment rights to Wando High School administrators in support of the two books challenged by parents, community members, and the Fraternal Order of Police. The Hate U Give by Angie Thomas and All American Boys were singled out by some South Carolinians for supposedly spreading anti-police sentiments. The First Amendment protects students’ rights to freely think, read and inquire; public school officials risk violating these rights when they restrict access to literature solely on the basis of viewpoint rather than for legitimate pedagogical reasons. Hazelwood School District v. Kuhlmeier, 484 U.S. 260, 261 (1988). Removing books that have been selected for their educational value solely because the ideas expressed in them conflict with some parents’ political or moral beliefs would improperly allow parents to dominate the public education process with their opinions. . .
Books provide a safe space for students to explore difficult issues and ideas as they grow into a greater understanding of themselves and the world around them. For young readers in Charleston, The Hate U Give and All American Boys offer insight into the racial injustices many people of color experience and inspiration for young activists who desire change. Wando High School for their part has increased the number of options available to students taking English 1 College Prep from four to eight titles, hoping to appease the parents who didn’t feel that two books were appropriate. The decision to add works as opposed to subtracting them, is at the heart of many strong educational decisions to protect the First Amendment rights of students. Expanding the collection of viewpoints and access to literature is critical in defense and propagation of intellectual freedom. The new list of titles includes Long Way Down by Jason Reynolds, Salt to the Sea by Ruta Sepetys, The Sun is Also a Star by Nicola Yoon, Going Bovine by Libba Bray in addition to the original titles – 23 Minutes by Vivian Vande Velde, Love Letters to the Dead by Ava Dellaira, All American Boys by Jason Reynolds and Brendan Kiely, and The Hate U Give by Angie Thomas. 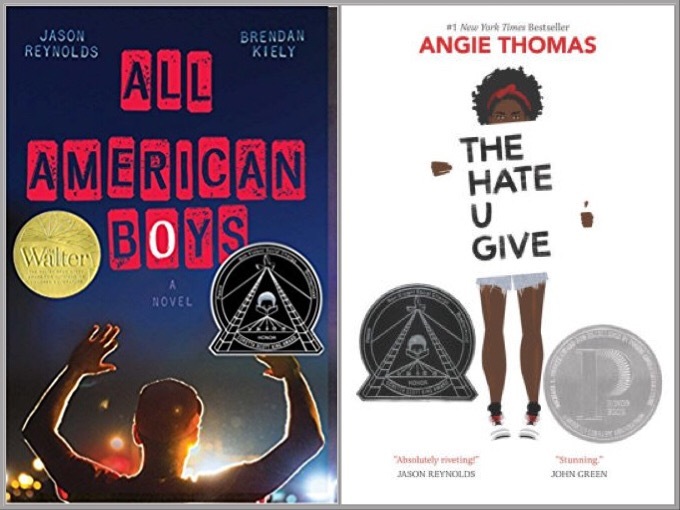 Despite the large selection now available to students, it is difficult to imagine that most of them will read anything other than The Hate U Give or All American Boys considering the national attention this news story gained. The only good thing that can be said about people interested in policing the reading of others is that it often sparks an interest in the titles they wish to erase. Read the full Kids Right to Read Project letter to Wando High School administrators below.